When Miami resident Aaron Kredi was diagnosed in 2007 with coeliac disease he was just 7 years old. Since then, he has worked many service hours advocating for newly diagnosed children in South Florida who must change their diets to only gluten-free food. 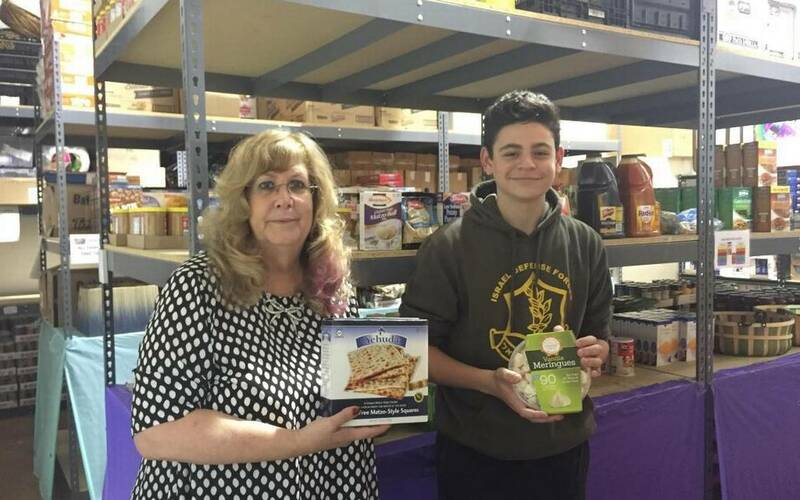 Bonnie Schwartzbaum, director of the Jewish Community Services Kosher Food Bank, and Aaron Kredi, a senior at American Heritage School, check out the gluten-free food section that Aaron created. Photo by Ruchie Gross-Berger provided to the Miami Herald. Now 17 and a senior at American Heritage School, Aaron is especially motivated by those with the disease who depend on donations from food banks. When he started working with the Jewish Community Services Kosher Food Bank in North Miami Beach, he noticed that there were few choices for residents with coeliac disease. Aaron asked if he could create a special section of the food bank and started asking friends and family to donate gluten-free items. The added challenge is that the items must also be kosher. He set up a fundraising page with JCS Kosher Food Bank and the money was used to purchase gluten-free food. Most recently, just after Hurricane Irma left many South Florida residents without food and supplies, Aaron made door-to-door deliveries for homebound seniors and Holocaust survivors who weren’t able to come by the food bank to get supplies after the storm. He also spent hours with some of his teenage friends to restock the shelves before and after the storm. “I hope to continue to expand this project into other local and national food banks,” he said.